The 'Menzel' farmhouse is situated on the outskirts of the village of Bömighausen, on the edge of a forest, in the beautiful countryside of Waldecker (a wonderful winter sports and hiking area). This Scandinavian wooden house is suitable for 2 to 5 (a maximum of 6) persons. The apartment is comfortable and spacious. The house has thermostat-controlled electric heating and a cozy fireplace. From the terrace you have a wide view of the surrounding landscape including the hills. In winter you can go cross-country skiing here. In the nearby village you will find several restaurants, one with a bowling alley. Other possibilities include: fishing, archery, bowling, fitness center, golf, canoeing, mountain climbing, horseback riding, mini-golf, para-gliding, mountain biking, sauna, swimming, sailing, skiing, snowboarding, squash, diving, surfing, tennis, hiking, water-skiing and shopping. In short: everything you need for a pleasant stay in the wonderful Sauerland! 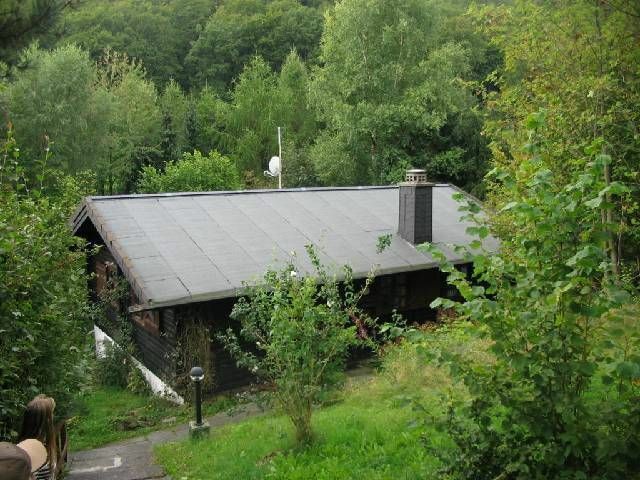 This well-maintained wooden cottage has an area of about 70m² and is suitable for five - maximum six - persons. The spacious living room also serves as the kitchen and has a dining area and a sitting area with a fireplace, satellite TV, CD player, stereo, tape player and radio. The kitchen is fully-equipped including a 4-burner electric cooker, bread slicer machine, extraction fan, electric grill, refrigerator with freezer, toaster, microwave, vacuum cleaner, coffee maker, kettle and dishwasher. Of course, there is plenty of cutlery, kitchen utensils, dishes and glassware. The first bedroom is furnished with a double bed, the second has two bunk beds, a single bed and possibly a couch. The bathroom has a sink, toilet, shower and hairdryer. The apartment has its own garden and terrace to the south, complete with furniture and a barbecue. The accommodation has private parking. + Young persons (between 18 and 25 years of age) can only rent the bungalow if they pay a deposit of € 50 per person. This has to be transferred - together with the rental price - to Tour Operator. The High-Sauerland, also known as 'the land of a 1,000 mountains', with its high peaks, deep valleys, rivers, hilly meadows, vast forests and cozy villages, is truly one of the most beautiful and diverse natural areas in Germany, if not the best! For hikers and mountain bikers there are routes for all levels of ability and condition which traverse hundreds of kilometers and run through varied natural surroundings offering wonderful panoramic views. Bömighausen is located in Neerdartal, between Willingen and the city of Korbach and has about 360 inhabitants. In summer a small lake in the vicinity invites you to sunbathe, swim or fish. A larger lake can be found 15 km away. This is the Diemelsee.